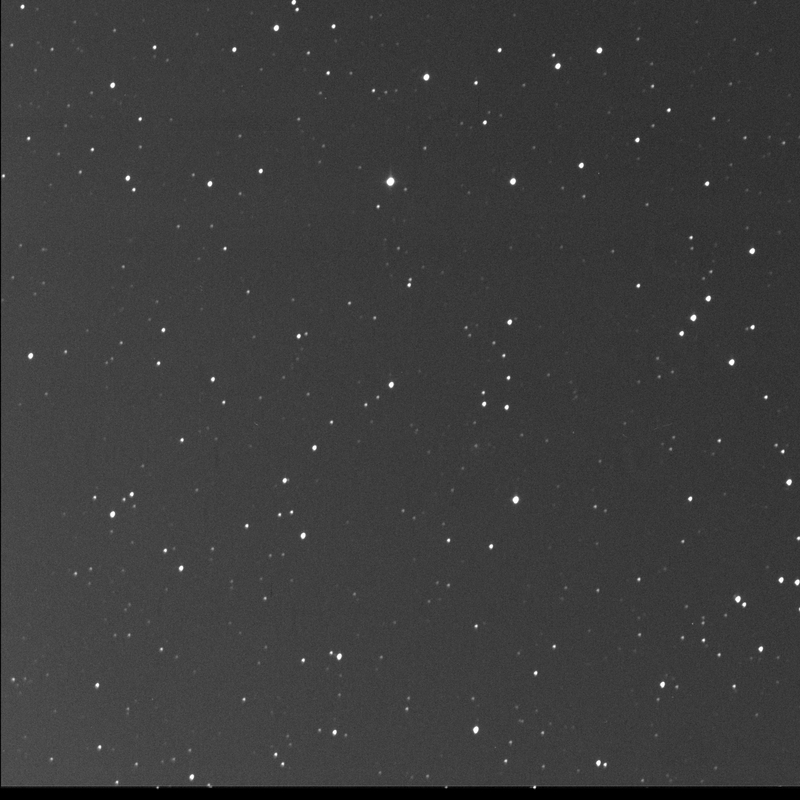 Another image that took a while to get was for Palomar 1 in Cepheus. And in the end, was it worth it? I can barely see anything. 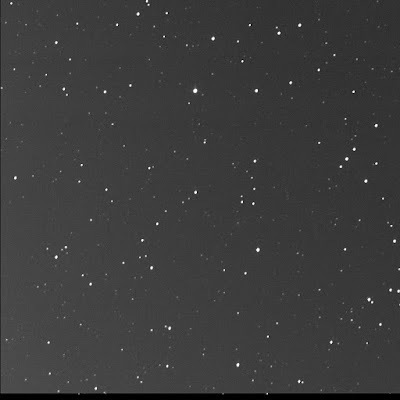 Hover over the image to get the location of the dim globular. Magnitude 13.6? I dunno. This was an attempt to improve on the result from about a year ago. Red filter only, 60 seconds subexposures, 10 stacked shots. FITS Liberator, Paint.NET. North is up; east is left. Annotated. Again, it took some effort to get this. Submitted the first request on Nov 12, centred on the star GSC 04517 01909. But I goofed with very short exposures, at 10 seconds. Resubmitted, asking for 60 seconds each. Also, I decided to drop the LUM. I broke Ralph! Something happened. I still don't know what exactly. Mr Lane forwarded the log. "! In script 'sm-proc-request.dtl' (line=202) - Fatal error - uncaught application error." Yikes. Crashed it good. Dave suggested I "try again" so I submitted another job (using the exact same content) which was accepted... Assigned ID number 7013. Meanwhile job 7007 appeared. Same request. Maybe Dave tried it again. So I had two asks in the job jar. Normally you can't do that. This morning both were processed! Double data! Curiously, the first set, from 3:37 AM AST, looked better. The second set was captured at 04:16 AST. Why do I bother? Maybe it's silly going after these with a tiny telescope. The Palomar Sky Survey was completed in the 1950s with a 48-inch instrument. Π r squared so 4 times the light gathering power. In a less light polluted world. Wikipedia link: Palomar 1 and National Geographic Society – Palomar Observatory Sky Survey.